Games like Chess, Go, and Parcheesi are much like digital computers, machines for creating and storing numerical states. In this sense, computers didn’t create games; games created computers. DUAL IS A UNIQUELY STRATEGIC TWO-PLAYER GAME ABOUT SEQUENTIAL THINKING AND LOGIC. One player tries to connect four white circles on the board, while the other attempts to connect four black squares. 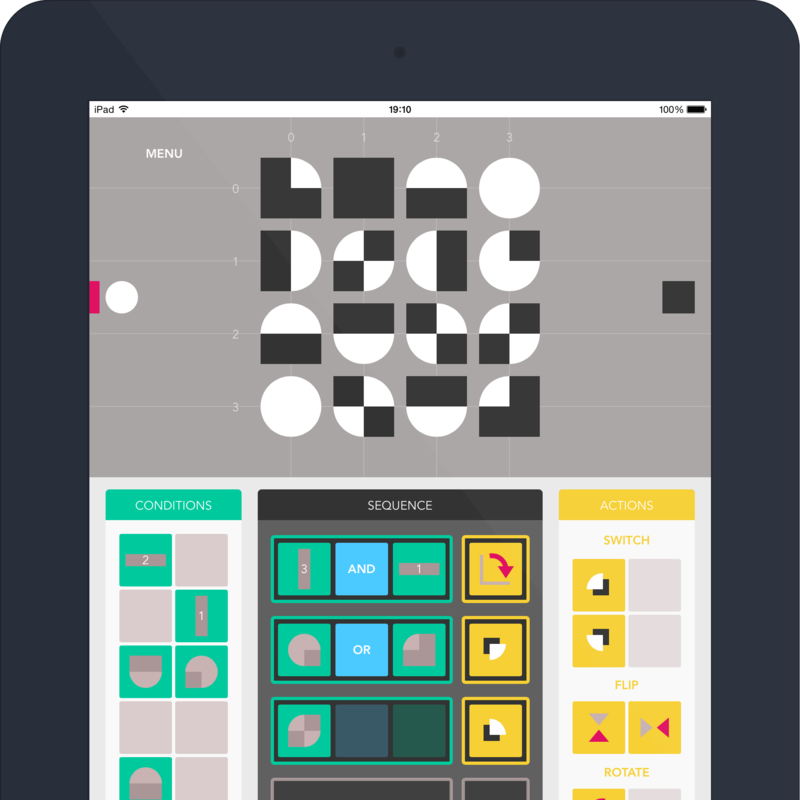 To transform shapes players build a sequence of conditions and actions – it's a lot like programming, but without code. In fact, it was designed to introduce players to basic programming concepts. Available for free on iPad today.